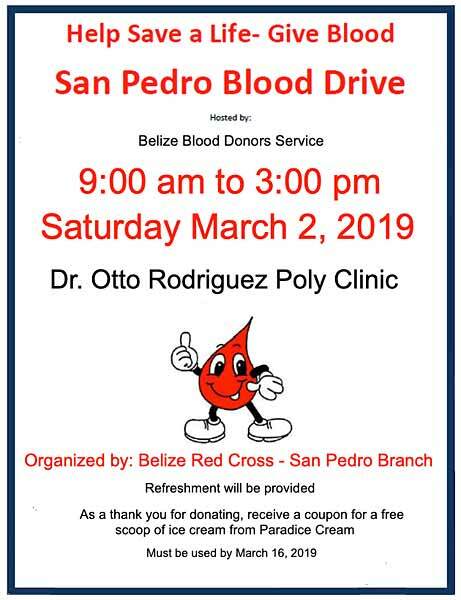 Saturday March 2, 9am-3pm, at the Dr. Otto Rodrigues Ploy Clinic. Donors are reminded that they should not consume alcohol the day before the blood drive. They should ensure they get a good night sleep and eat a healthy iron-rich meal before donating.